As I write this, Medha Patkar, leader of the Narmada Bachao Andolan, or NBA, is in jail in Dhar, a district HQ in Madhya Pradesh. The charges brought against her by the state government include causing, and likely to cause, breach of peace, even kidnapping—this last because NBA protesters allegedly compelled village revenue staff to appear before protesters in Chikhalda in Dhar district, near the Narmada river. On 7 August, along with several colleagues, Patkar was forcibly removed by Madhya Pradesh police from Chikhalda. As I wrote last week (See Human rights, dialogue and the Sardar Sarovar project, published in Mint on 10 August) it was an attempt to break Patkar’s hunger strike to protest incomplete and inadequate resettlement and rehabilitation for several tens of thousands of citizens in Madhya Pradesh. There was no dialogue with government—there still isn’t. 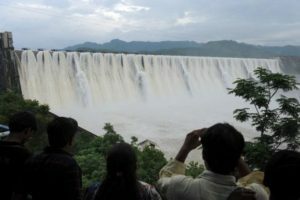 Among other things, the current situation is a fallout of the apex Narmada Control Authority (NCA), within weeks of Narendra Modi becoming Prime Minister, announcing its approval to raise the Narmada dam’s height to 138.7 metres, an increase of nearly 17 metres. This will affect 200,000 people in Madhya Pradesh, Patkar and her colleagues claim. They, and other critics, also point to assembly elections in Gujarat later this year as the reason for what they see as unseemly haste for this move—which raises levels in the backwaters—even as rehabilitation remains shabby and woefully incomplete. They say this is a breach of directions of the Supreme Court even as it violates principles of human rights. Media widely reported in late-July that an elaborate inaugural was planned for 12 August by Modi, in the presence of several thousand priests and chief ministers of all Bharatiya Janata Party (BJP)-ruled states. The event did not take place. Transparency has remained at a premium with the Narmada project. There is a finessing of statistics, of spin. Take NCA’s own December 2015 Status Report on Sardar Sarovar Project. At the “full reservoir level” of 138.68 metres, it claims 244 villages will be “affected” (19 of these in Gujarat, 33 in Maharashtra and the remaining 192 in Madhya Pradesh). Of these, NCA claims four villages will be fully submerged—“only four”, it qualifies—of which three are in Gujarat and one in Madhya Pradesh. NBA claims the actual number is 55. This is a vague statement even if it is couched in a seemingly precise manner. “Likely” and “submerged temporarily” are vague words. And, what of “submerged temporarily”? Will people “relocated at higher levels” be brought back to their earlier homes when reservoir waters recede? And what if levels rise again? Will they trek back up to “higher levels”? Is “temporary,” for all practical purposes, a euphemism for “permanent”? Such finessing has long dogged the project. In the early 2000s, government attempted, incredibly, to specify the number of houses that would be submerged. Right to Information investigations found state-led surveys of displacement and rehabilitation to be respectively random and inflated. I recall the incidence of the submergence of Manibeli village in Maharashtra as far back as in 1993, where several residents were also attacked by police and forcibly evicted, besides being shabbily rehabilitated and being paid less compensation than promised. Take another instance of downplaying in NCA’s 2015 report. “In all 37,533 ha” (hectares) “of land (out of which 12,869 ha. is in the river bed or wasteland, only 11,279 ha. is agricultural land, the rest being the forest land) may be submerged.” NBA and other critics dispute this figure as one picked from a shape-shifting hat, but even by NCA’s own presentation, it minimizes the fact that nearly two-thirds of the submerged land is agricultural or forest—besides minimizing forest land, integral to the ecosystem, with a dismissive “rest”. It serves little purpose beyond glib justification, which has usually been enough at the altar of greater good.